We’re all familiar with the concept of an “elevator speech.” A concise but effective sales monologue. A way of describing and positioning your product, service or idea that, while succinct, is compelling enough to consistently pique the interest of a listener. Your target audience. I recently spoke with a corporate marketing chief who is having trouble crafting his organization’s elevator speech. Regardless which marketing or sales employee takes a crack at the perfectly pithy pitch, they’ve been unable to make their software as a service (SaaS) value proposition short, clear and compelling. “Our story’s too complicated, too dense,” the marketers say. “Too many words, not enough impact,” the sales people agree. The conversation got me thinking: What does it take to craft a great elevator speech? And that got me thinking just how important it is to focus on the person with whom you’re sharing the elevator. 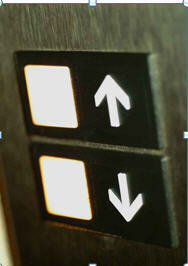 Picture yourself boarding an elevator at lobby level, about to make the ascent to your 11th floor office. Just before the doors close, a firefighter steps in. She’s in full blaze-fighting gear. Heavy yellow rain coat. Black helmet with visor. Oxygen tank on her back. Axe in one hand. 1) WHAT sort of customer-centric approach, experienced team, advanced training and leading-edge equipment do you folks operate with down there at the station? 2) HOW would you and your associates implement a world-class fire suppression and life saving initiative in a high-rise building such as this one? 3) WHY are you here? In other words, is there a fire in the building? If you answered 3), you’re in the majority. The vast majority. When placed in a situation where an elevator speech could be forthcoming, our ear for information tunes quickly to: Why should I care? Why should I care a firefighter is in my building? Why should I care this person next to me is in the SaaS business? Or plastics? Or distance learning? maybe you’re answering the three key questions out of sequence. Then maybe, just maybe, you’re getting around to WHY. WHY the person you’re speaking with (your customer or potential customer) should care? If you feel the need to take your organization’s elevator speech to another level, make sure you’re starting with WHY? WHY: There’s this particular issue or challenge in the marketplace that matters greatly to certain people or businesses. It might even be something you, Mr. or Ms. Listener, care about. WHAT: Here’s what my company does to address that issue and deliver the desired result. HOW: And we do it in a way that is different, even unique, in these ways, for these reasons. Answer three questions in the right sequence and there’s a good chance, in 100 words or less, you’ll have an elevator speech that’s considerably more compelling. Then don’t be surprised if you find yourself with more people pressing the elevator “open door” button in order to ask for your business card. Does your sales organization struggle to articulate a relevant, arresting elevator speech? Any secrets you want to share about getting more upside from an elevator speech? Welcome your thoughts and comments. Everybody knows that effective selling requires attentive listening. But in order to listen, sales reps must get customers and prospects talking. John Warrillow and the team at Warrillow & Co. believe they’ve discovered the query to crack open productive dialogue with small businesses (<100 employees). Warrillow & Co. specializes in helping big companies (e.g., American Express, Staples, Xerox) have the insights and best practices necessary to market and sell effectively to smaller ones. b) What will it take for you to say “yes” today? c) Tell me a little bit about your business? d) How do you differentiate from the competition? e) What do you value most in your supplier relationships? If you guessed “d,” give yourself an “A” for acumen. Here’s why, and why big companies often struggle to get it right. “What we’ve found in speaking with small business owners is that they expect sales reps to demonstrate business acumen when they call on them,” Warrillow said. “One of the big challenges large, enterprise companies face is that they typically take their most junior, greenest sales reps and task them with calling on small businesses. And when you think about the hierarchical structure of small business, the owner is at the top of the chart. or his service can support, even sharpen, the customer’s point of differentiation. Which, come to think of it, means the best small-business sales question isn’t really so small. It just might be the key to getting any customer or prospect, no matter their size, engaged in win-win dialogue. NOTE: If small businesses are a target for your business, get to know Warrillow & Co. Among other things, they conduct research, sponsor knowledge-sharing summits and publish a weekly newsletter.